When I collected my 1948 3.5L MKIV (largely in pieces) it came with two steering wheels neither of which was fitted to the car. 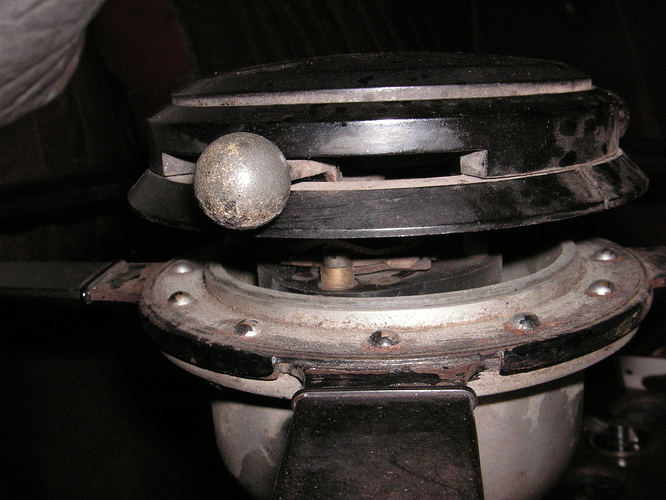 From the driver’s point of view, one has a raised centre section while the other is flush. I’m hoping that people will be able to help me identify them, and which steering wheel is correct for the MKIV (they both might be?) before I have the wheel restored? 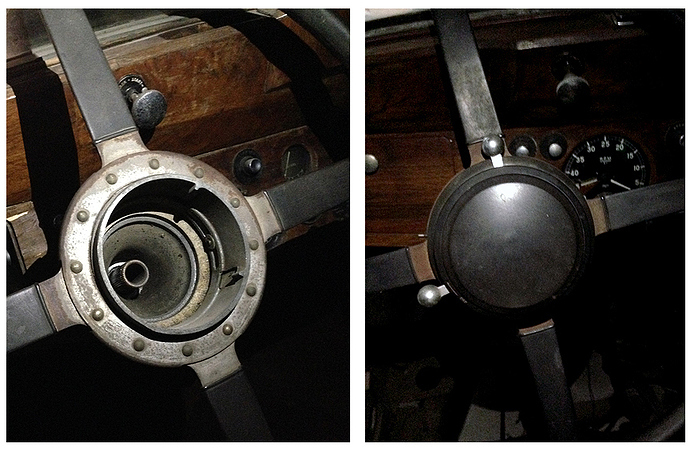 My 1948 MK IV 1 1/2 litre has the raised centre (and also has the “Advance” lever), which is an original UK car. 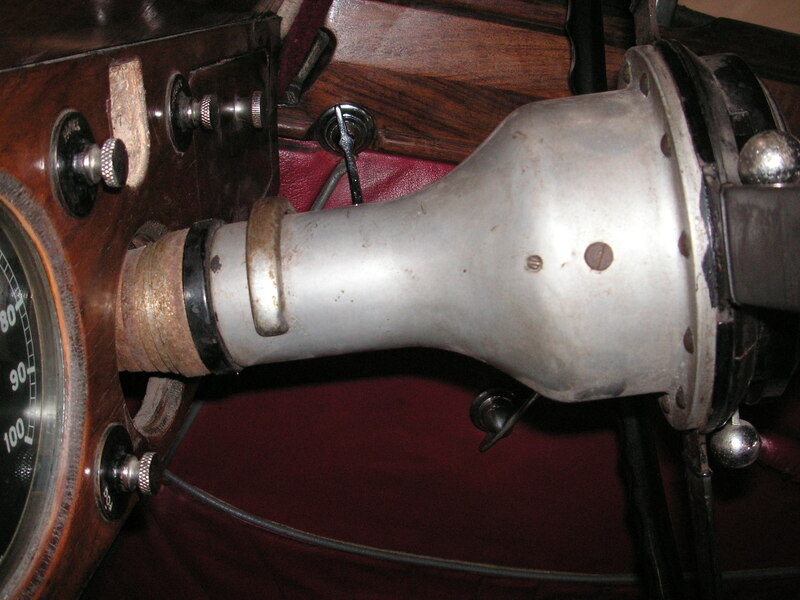 The 3 1/2 litre of this year also has the same raised centre as this photo sent to me shows (not a UK car), but does not have the “Advance” lever. 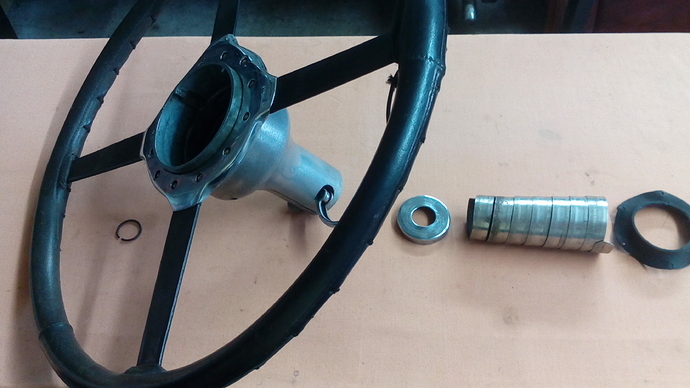 I wonder if the flush steering wheel centre is from an early year car? 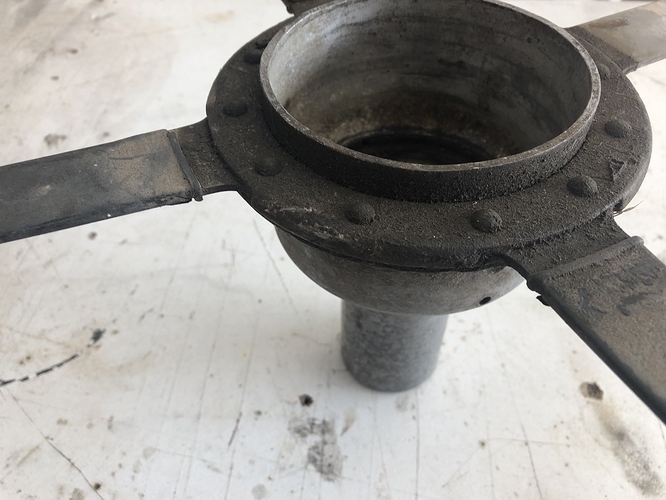 Looking in my '38 SS, I do not see that high raised center ring, but mine does not seem to be flush, it has a ring maybe 1/8" high. The parts books list two, early part 809 (presumably non-telescopic) and later part 1168 (telescopic). Mine is chassis 40051 so non-telescopic. Is that ring separate, can it slide out of position? Thank you for your contributions, greatly appreciated. David, in both sets of photo’s the steering wheels appear to have the indicator sliding mechanism fitted, giving the ‘raised’ centre to a bosses that appear flush. Rob, my car certainly has the ‘telescopic’ mechanism, and there is no sliding ring fitted to my steering wheel as it is in Pat’s examples. The steering wheel restorer here in Australia (fabulous guy) showed me photo’s of the last 1948 MKIV 3.5 he restored just over a year ago (see below). it has an almost ‘flush’ top to the boss. 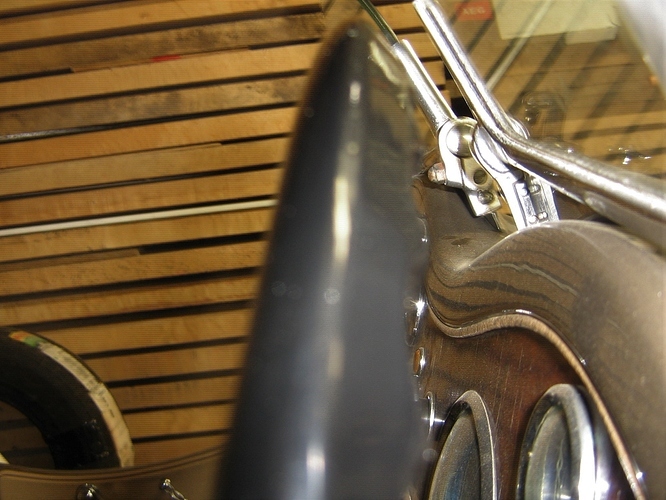 He did say that he hadn’t seen two wheels side by side and so couldn’t account for the variation. trafficator cancelling ring and check that the manette fits correcly, it is possible to use either type. shown in Robs photo is telescopic, perhaps confusion between “telescopic” and “sprung”. Thank you very much for this information which I shall pass on to the fellow restoring my steering wheel. I’ll probably have both restored as people with the necessary skills, knowledge and experience will not always be around, sadly. Just reflecting a little more on what you have written, it could be that the wheel with the raised centre boss might well have been replaced with the other wheel when the finish on the original wheel became fatigued or cracked. Well, well; a little penetrating oil on that flippy clamp thing and it loosened up, and I find my wheel telescopes after all, thanks Peter. The parts catalogues say “telescopic” when describing the second wheel, I wonder why they didn’t say it about the first wheel, which I presumably have. Pulled out my manette a little more and I see that inner ring has two nubs inside for cancelling the turn signal. It appears to be pressed into the main hub. Looking back at mine and David’s photos, I see his plastic cover ring that fits over the ring in the wheel is about 1/4" deeper than mine. So that’s one reason for the difference. The attached pic shows the difference. Hello again and thank you for the advice. 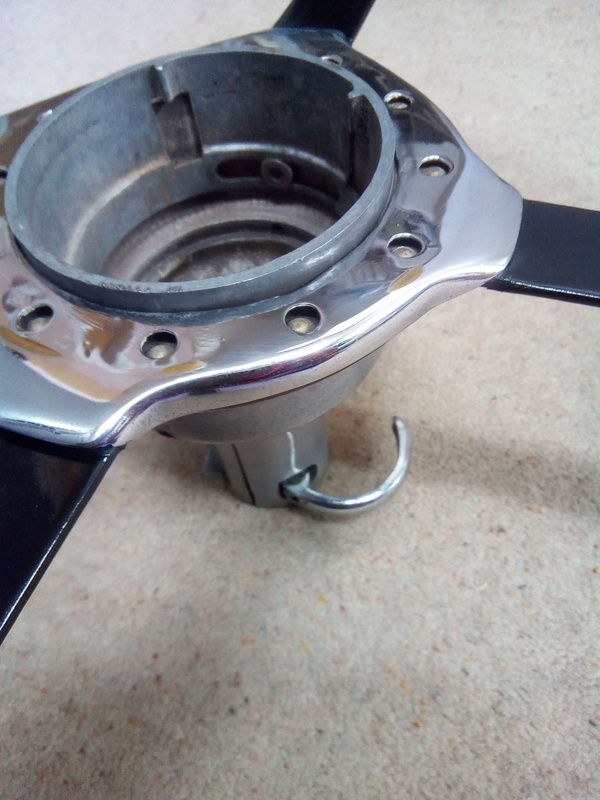 A friend in the Jag Club here sent me several photo’s of the indicator cancelling rings which are fitted to the inside of the steering wheel boss. 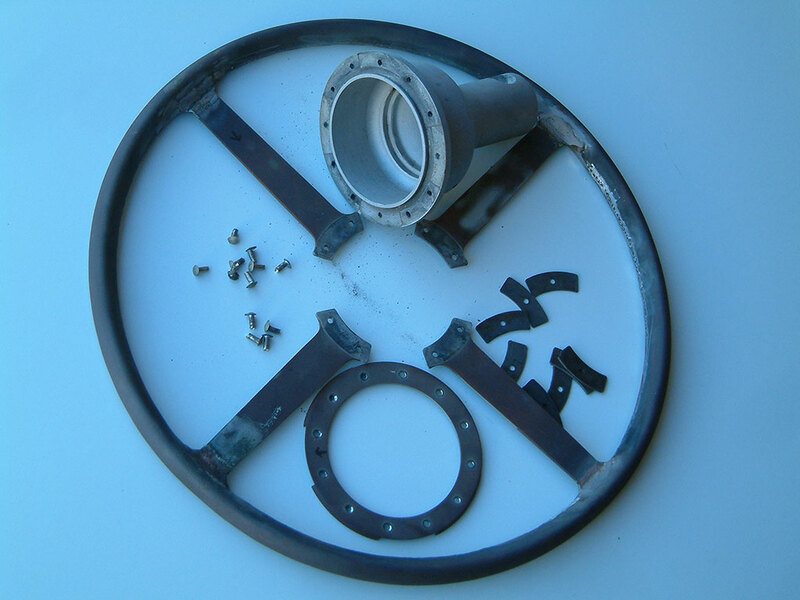 Am I correct in assuming that the ring on the right in the photo fits the wheel with the raised centre boss? While the shorter of the two fits the wheel with the flat boss? My final unresolved issue remains, which wheel is correct for a June 1948 3.5 Saloon? The restorer did mention that they were fitted to Wolseley’s. Again it would seem that what was to hand was fitted, which is understandable. No sense, post-war in a time of scarcity, leaving things lying around unused. 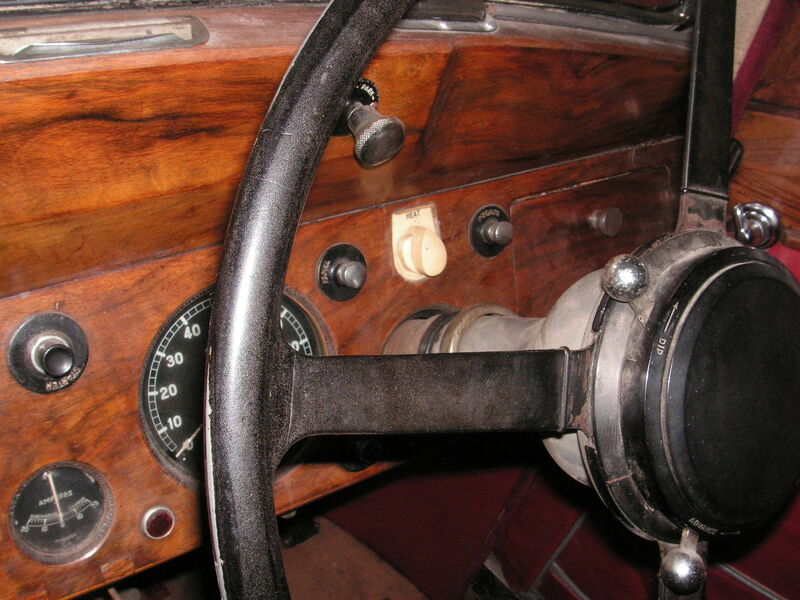 It seems that Bluemels made steering wheels for a vast number or marques, as you said. with the hole in the boss. 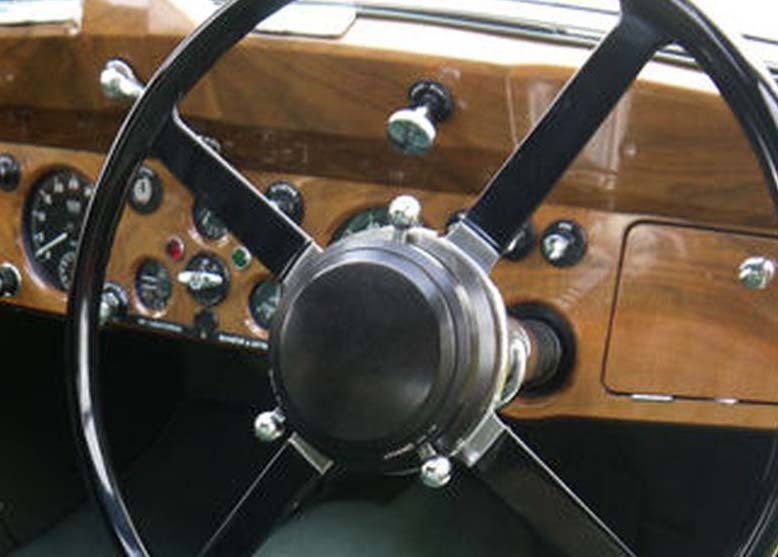 The steering wheels are with the restorer some 120kms from where I live so I won’t be able to post a photo of the rims at present nor the manette. 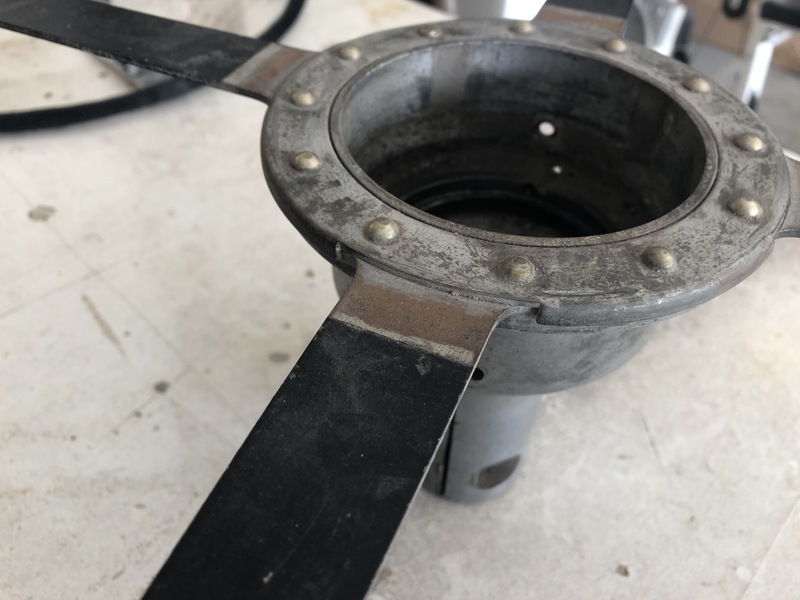 The ‘cancelling ring’ came from the wheel with the ‘flat’ boss (holes align) so I will need to locate another cancelling ring for the ‘raised’ boss. 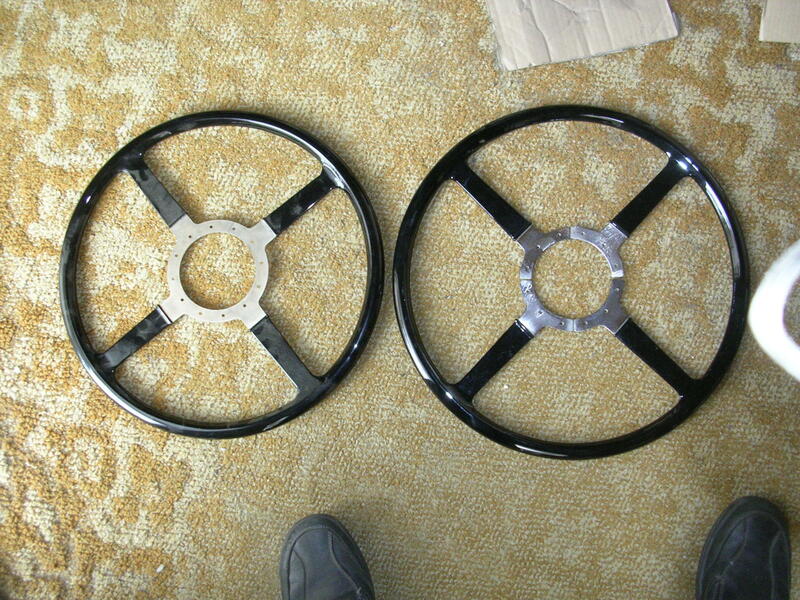 The diameter of the spline is the same on both wheels, so both suit the car, fortunately. Here is a photo of my cancelling ring which is the same as yours it would appear. 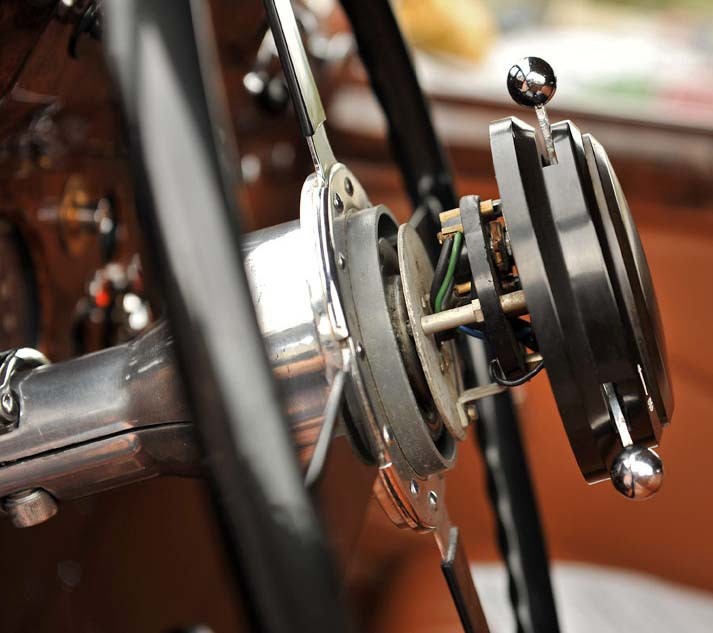 Is your steering wheel the ‘flat’ or ‘raised’ boss? 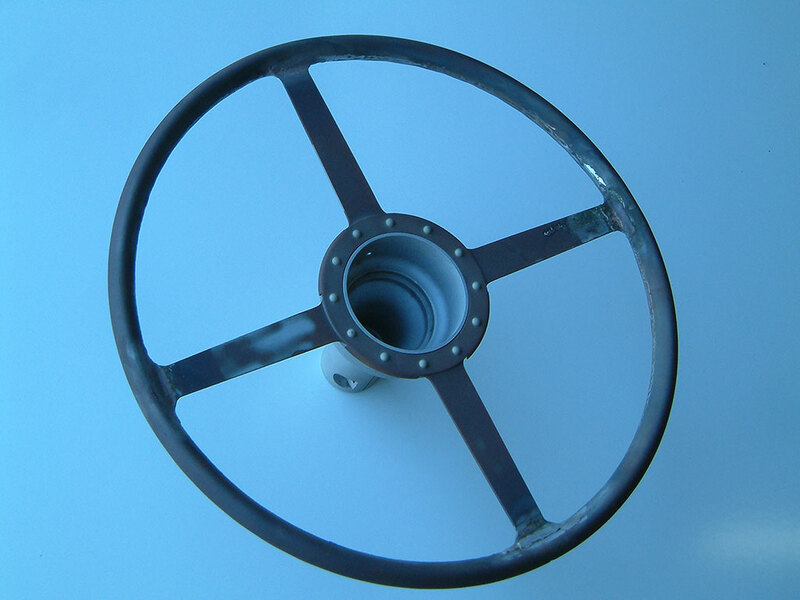 Be sure to check the spline hole diameter on the wheel to match the spline steering shaft of your car. All okay as far as that is concerned. 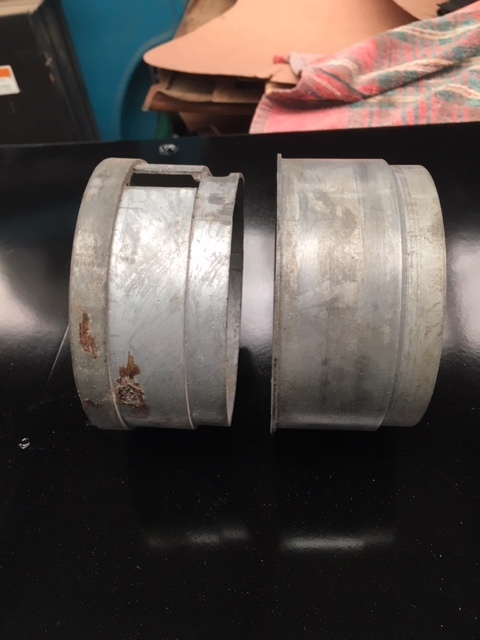 U profile pressings that form a tube. 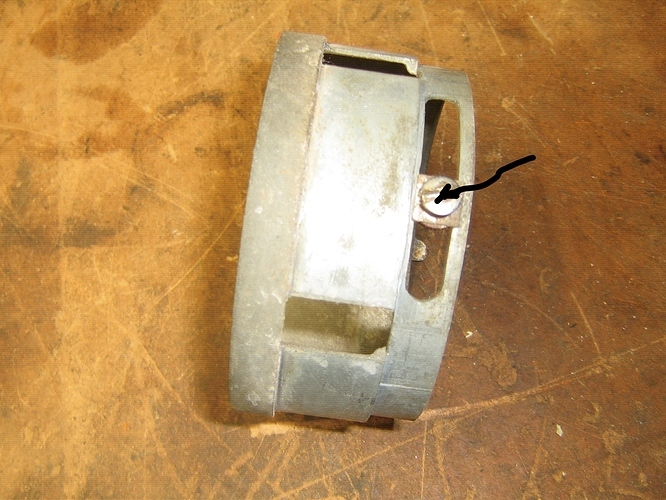 Going around my rim with a strong magnet, I find at the outer end of each spoke there is a steel segment maybe 3 times the width of a spoke or say 20 degrees, but in between spokes there is a wide segment say 70 degrees with no steel. 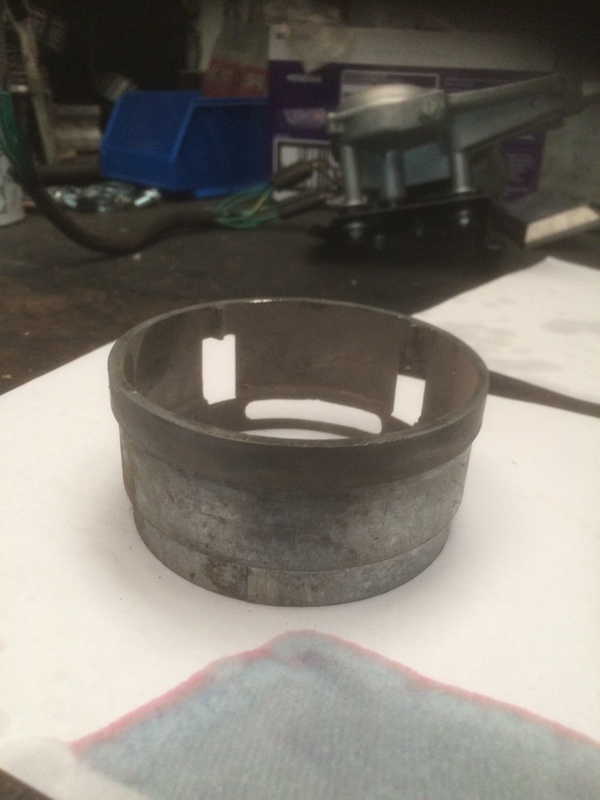 half welded in position, the halves might have been placed vice versa of course! The joints twixt rim and spokes are prone to cracking, when faced with this I braze the joint. I recall Ed posting this advice previously, but I understand the retention of the visual aspect. Sometimes I just attempt to keep it “light”. Ok, T shaped spoke ends is what I meant, but you said the U profile pressings were steel, so I thought mine which appear to be aluminum were another variation. Misunderstanding on my part Rob, I thought you got varying degrees of magnetic attraction. Checking your photo perhaps the wheel is the earlier version. 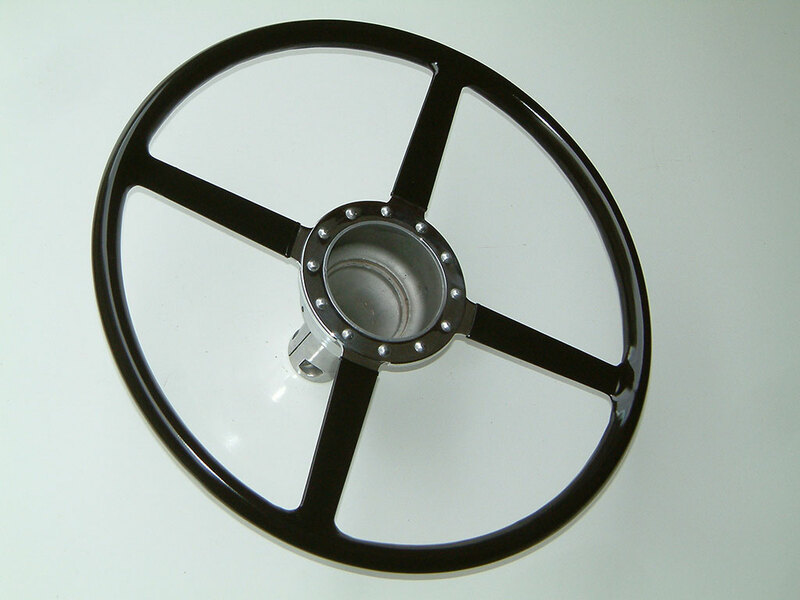 steel/ alu early version, the later wheel has a more rounded profile.